﻿ Live the magic of the Night of San Juan in Conil! Live the magic of the Night of San Juan in Conil! Summer is approaching, a season desired, loved and, above all, celebrated. And the fact is that in the whole world the arrival of summer is celebrated and there are many rituals full of fun to celebrate this longed-for ephemeris. As an example, in a Scandinavian country like Sweden this party, called Midsommar, which is the most important of the year after Christmas, takes place in the countryside and consists of games, endless lunches and flowers in the hair. Much further, in the southern hemisphere, this day is celebrated the Inti Raymi, a feast of adoration to the Inca sun god, Inti, which marks the arrival of the winter solstice. Already in our country, on the night of San Juan, on June 23, the Christian is mixed with the pagan, as it is usually combined this holiday with the commemoration of the summer solstice. Here, to welcome summer, tradition demands bathing in the sea or the river or jumping a bonfire, among many other activities. And what happens on the Costa de la Luz? How does Conil celebrate this party? Well, they celebrate it and big. This night is one of the liveliest of the summer, for this reason it represents a perfect occasion to have a weekend getaway to this town on the coast of Cadiz, which is flooded with magic, fire, spells and bathing in the moonlight. 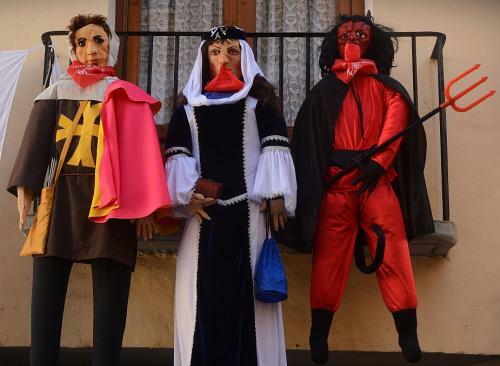 In the atmospheric center of this Cadiz town is celebrated the Juanes and Juanas, some dolls that will end up in a big bonfire and that represent with humor everything that happened in the municipality or in the country. This party is completed with lively parades, which fill streets, squares and the beach of people looking for a good time full of joy and fun and attracted by the enigmatic magic of fire. 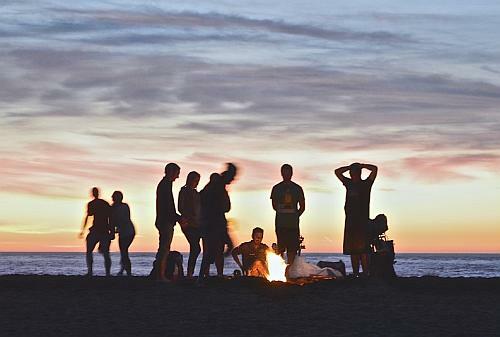 Also, when midnight arrives, the beaches are filled with bonfires that will scare away evil spirits and burn all bad omens. The most daring will jump over these, in order that their wishes come true. Others will simply throw into the fire a small paper where they write their wishes. Another tradition for these dates is to bathe while observing the moon, an activity that, according to experts in witchcraft, attracts good luck. In this way, again the boldest will have a magnificent bath at midnight without caring about the temperature of the sea, while the rest will settle for approaching the shore to get their feet wet. In that sense, it is necessary to point out that the scholars in the subject proclaim that both options are valid. Can you think of a better place to commemorate the arrival of summer than the beaches of Conil? Surely not! And it is that Conil offers you a magnificent plan: at night, enjoy this varied and lively evening of San Juan’s Night and, during the day, enjoy the soft June sun on any of its immense white sand beaches and crystalline waters. 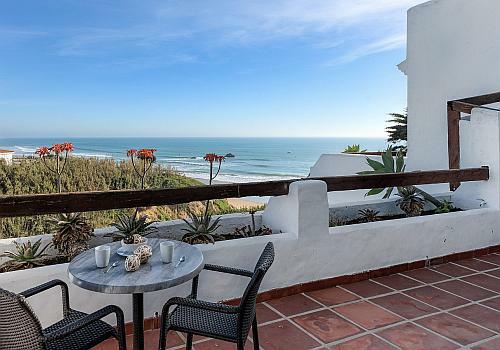 And the best choice to rest during this getaway is the rental of a house on the coast, such as those offered by Villas Flamenco. In any of its varied and exquisite accommodations the experience of the night of San Juan will be unforgettable. So, you can choose between the magnificent villas for rent on the beach of Villas Flamenco Beach at Fuente del Gallo or the oasis of relaxation that the charming rural accommodations of Hacienda Roche Viejo offer or maybe you prefer the holiday apartments of Villas Flamenco Rentals, just a lovely walk from the vibrant downtown. Come and have fun. 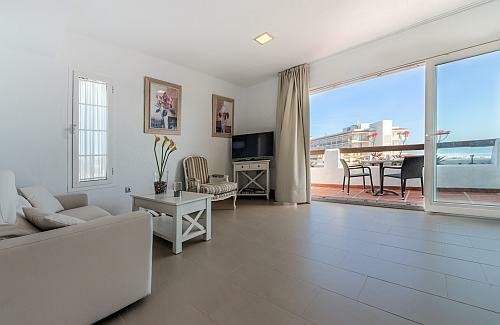 Enjoy the night of San Juan in the best accommodations in Conil. And, as we love that you spend the holidays with your family, in Villas Flamenco the first child under 12 is free. Think no more. Enjoy the most magical night of the year with us. We wait for you in Villas Flamenco.